A Fed tightening could create some policy headaches in Asia. The World Bank has warned developing countries to brace for turbulence from the U.S. Federal Reserve’s policy shift, amid a continued slowdown in emerging economies. Adding to its earlier warnings of potential “panic and turmoil,” on Tuesday the Washington-based international financial institution made its position even more explicit ahead of the Fed’s key monetary policy meeting, due Thursday afternoon U.S. EST. In a new research paper, the World Bank said while the Fed’s move had been widely telegraphed to world financial markets and the public, it still ran the risk of causing increased market volatility. “The Fed has set the stage for the tightening cycle carefully and there is every reason to envision a smooth transition with benign effects on emerging and frontier markets. However, there can be financial market volatility even around a long-anticipated Fed policy change. 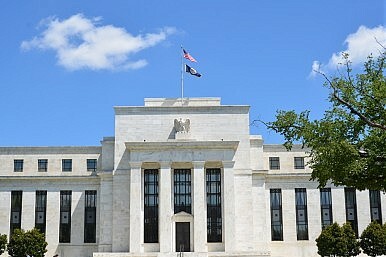 This could lead to a sizable drop in capital inflows to emerging and frontier markets,” the bank said in a statement. According to the lender, some emerging and frontier markets are more vulnerable now than during the “taper tantrum” of 2013 that battered financial markets, with growth in emerging markets this year expected to be the weakest since the global financial crisis. Based on the paper’s economic model, a 1 percentage point increase in U.S. long-term yields, as occurred during the taper tantrum, could curb aggregate capital flows to emerging economies by up to 2.2 percentage point of their combined gross domestic product (GDP), creating “significant” policy challenges. The bank urged developing countries to “strengthen the resilience of their economies and take steps to speed growth,” including “credible monetary policies” to contain inflationary risks and the use of fiscal policies “if budgets permit. “Structural reforms can be slow to show benefits, but decisive reform agendas can signal to investors that growth prospects are improving,” the bank said. The risks to the global economy were spelled out by the OECD’s latest Interim Economic Outlook report released Wednesday, which warned that while the world’s advanced economies are picking up speed, “stagnating world trade and deteriorating conditions in financial markets” are threatening many of the major emerging economies, including China. “Global growth prospects have weakened slightly and the outlook is clouded by important uncertainties,” OECD chief economist Catherine L. Mann said. Rising employment and household spending are driving “solid” growth in the United States, while growth in the eurozone is improving, albeit more slowly than expected given its declining oil prices, interest rates and currency, the Paris-based international economic organization said. The OECD expects the U.S. economy to expand by 2.4 percent this year and 2.6 percent in 2016, with the eurozone growing at 1.6 percent and 1.9 percent, respectively. However, it said a “key puzzle” to the short-term outlook centered on China, “where recorded growth has held up well, but some indicators point to a slower underlying pace of economic activity.” While Beijing announced the economy expanded by its target 7 percent clip in the second quarter, analysts have expressed considerable skepticism over the data. The OECD expects Beijing will fail to meet its official growth target, forecasting GDP growth of 6.7 percent this year and 6.5 percent in 2016, with both projections lower than its June outlook for the world’s second-largest economy. “The impact of a larger-than-expected slowdown in Chinese demand through direct trade and investment links would be significant, especially for those countries most heavily exposed,” the OECD said, pointing to the risks for emerging economies with close trade links to China, and those reliant on commodities. It said a 2 percentage point drop in the growth of Chinese domestic demand for two years, combined with adverse financial shocks, would have a “large” effect on global GDP growth. However, despite “sub-par” global growth, China alone should not derail the global recovery unless combined with a “large and widespread correction in global financial markets,” the organization said. With “Abenomics” struggling to achieve escape velocity on deflation, the OECD said Japan would expand by only 0.6 percent this year and 1.2 percent in 2016, down slightly on its June projections. Describing Japan’s quarterly GDP growth as “erratic,” the OECD said activity and employment in the world’s third-biggest economy appeared to be on an improving path, but inflationary pressure remained “virtually nil” and tightening labor markets had yet to feed into higher wages to support consumption. Exports fell sharply in the second quarter, hit by weakness in China, with the Bank of Japan under pressure to deliver another stimulus boost. However, the outlook remains more promising for India, which is expected to post GDP growth of 7.2 percent this year and 7.3 percent in 2016, both only 0.1 percentage point lower than the OECD’s June estimates. According to the OECD, India’s growth will be “supported by strong consumer spending and public investment in infrastructure,” making it the fastest-growing major economy. With risks escalating due to the Fed’s pending move, the OECD called for advanced economies to continue accommodative fiscal and monetary policies to help the global recovery pick up speed. Policymakers in advanced and emerging economies alike were urged to implement “ambitious structural policies…to encourage investment and reverse the slowdown in the growth potential output,” it said. As investors, policymakers and governments nervously eye the Fed’s every move, Asia can only hope that the worst-case scenario of a financial markets crunch and a protracted China slump fails to eventuate. OECD: World Economy Only ‘B-Minus’Asia’s New Year Economic ResolutionsMarket Turmoil: Can Asia Ride Out the Storm?China’s Zombie Companies and Japan’s Lost Two DecadesIs Asia Ready for Another Fed Shock?